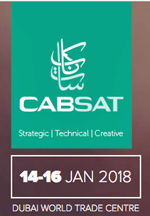 Meet LeoSat at the upcoming CABSAT industry event, which runs from January 14 to 16. LeoSat is a new satellite constellation that will, according to the company, provide the fastest, most secure and widest coverage enterprise data network in the world. Meet the LeoSat team at CABSAT 2018 to learn how the firm's one-hop global Gbps connectivity can transform business operations. 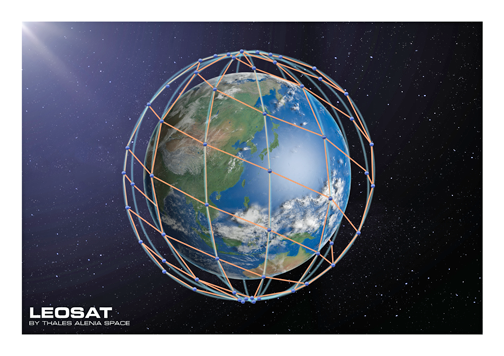 Artistic rendition of the LeoSat constellation. Using optical inter-satellite links and operating in polar orbits five times closer to Earth than MEO, and 25 times closer that GEO satellites, LeoSat has many advantages for throughput, latency and true global coverage.The firm's data network solution possesses the ability to deliver fiber-like services via a single, high- performance, inter-connected, MPLS-based LEO constellation. To arrange a meeting to find out more about LeoSat, contact Alex Holvoet, SVP Program Management, LeoSat Enterprises. The SmallSat Symposium is the undisputed Business and Finance Conference for Small Satellites. World leaders and experts unlock the knowledge required to leverage smallsat innovation and cutting-edge technology into next generation solutions. Learn from and network with the primary players in the industry as they answer the most pertinent questions facing the small satellite market today. To learn more and to register for this major trade event, please access https://smallsatshow.com.